Alegria palms uno is a middle-market subdivision projected to deliver over 400 vacation housing units all with a Modern Italian-inspired design. Situated in the serene southeastern coast of Mactan Island boasting of its abundant marine resources, this part of Cebu is also famed several beach resorts drawing foreigners and locals alike all-year round. Not to mention, it is right along National Tourism Highway. And because of the natural orientation, Alegria Palms will let you and your families experience the blissful balance of mundane and holiday within the confines of your residence. LOT AREA 296 sq. m.
FLOOR AREA 194 sq. 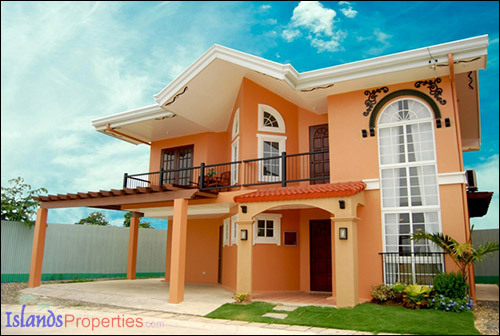 m.
NEW, CODE, HOUSEANDLOT, GATED, CEBU, MITZI M.